Wanderlust really sets in for my girls and me around this time. After months of freezing temps, we were practically dying to get away. 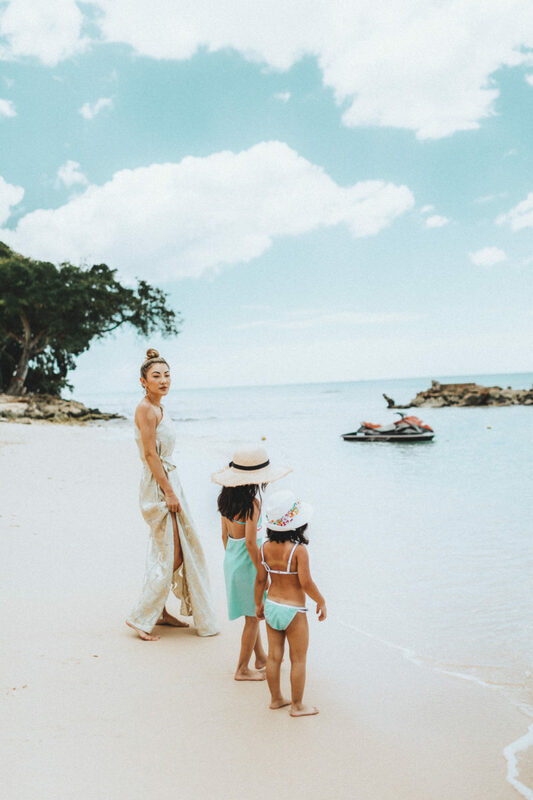 We were finally able to soak up the sun in Barbados recently. And the most exciting part of the trip was gathering our vacation outfits. Nothing gets Hazel and Capri more excited than resort wear. And it amazes me how much they’ve grown. Hazel specifically requested to get on Melijoe to make her picks, and of course, Capri follows her lead. 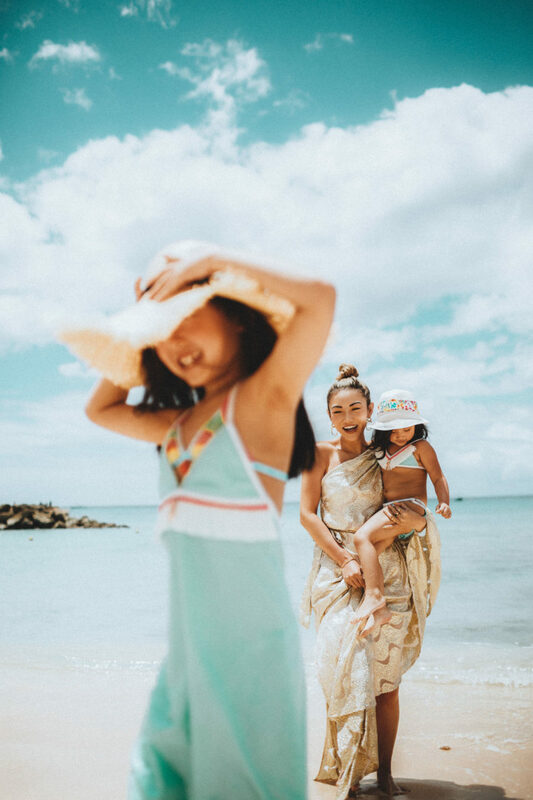 We obsess over everything on Melijoe because they carry a ton of adorable pieces that are fun and appropriate for kids. 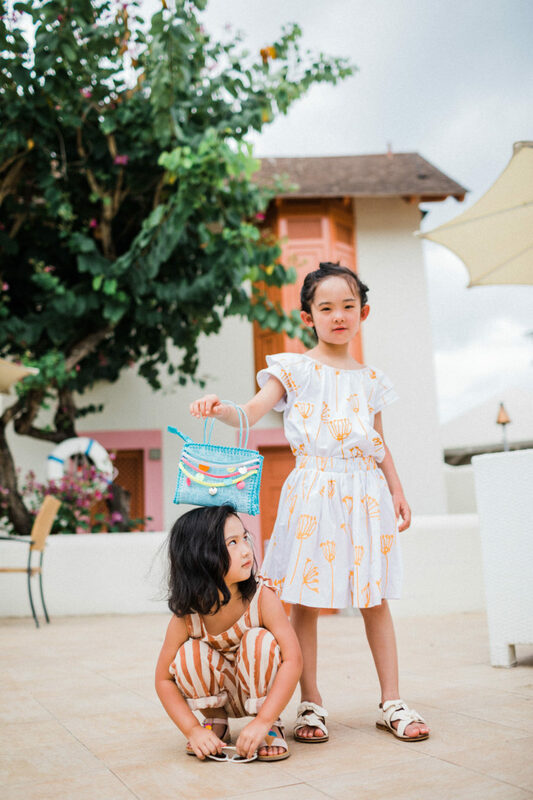 Even though silhouettes and prints can all start to look the same when it comes to kids clothing, Melijoe’s selections don’t – and they have plenty of options that speak to Hazel and Capri’s personalities. 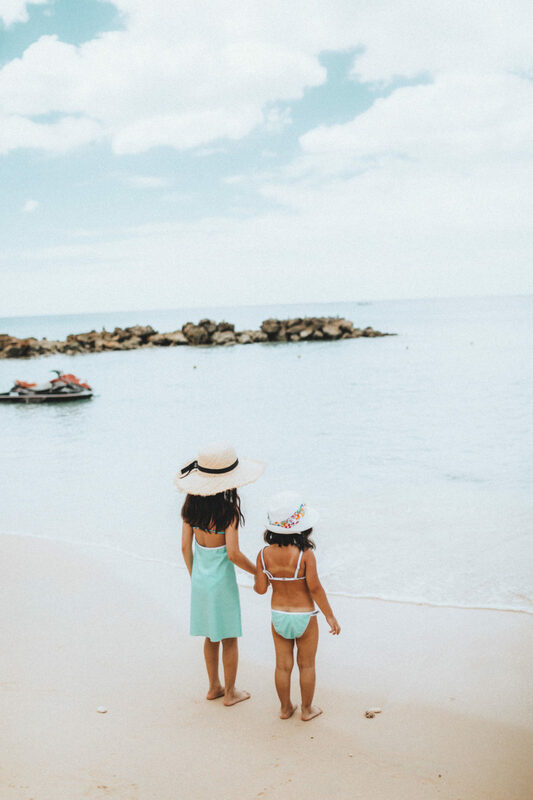 If you’re looking forward to any relaxing beach vacations this spring and summer, I wanted to share some of the cute vacation outfits my little girls wore. As a mom of two, one of the things that gets me worked up most is when my girls take forever to get dressed. 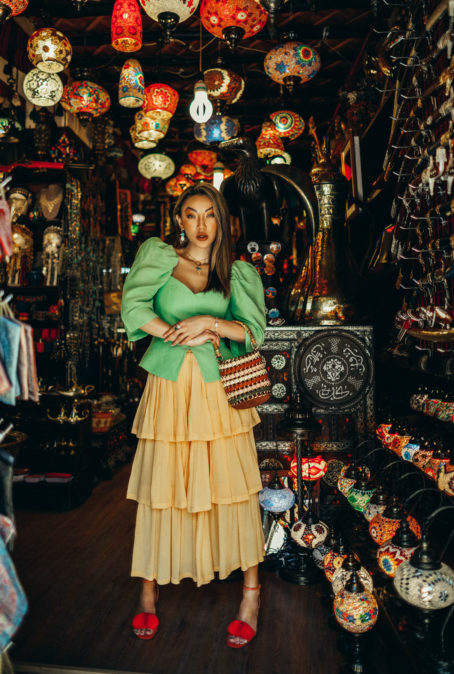 To make getting ready as seamless as possible, I made sure to pack, what I call, my wear-everywhere wardrobe heroes. Think one-pieces and matching sets that require no effort to look on point. 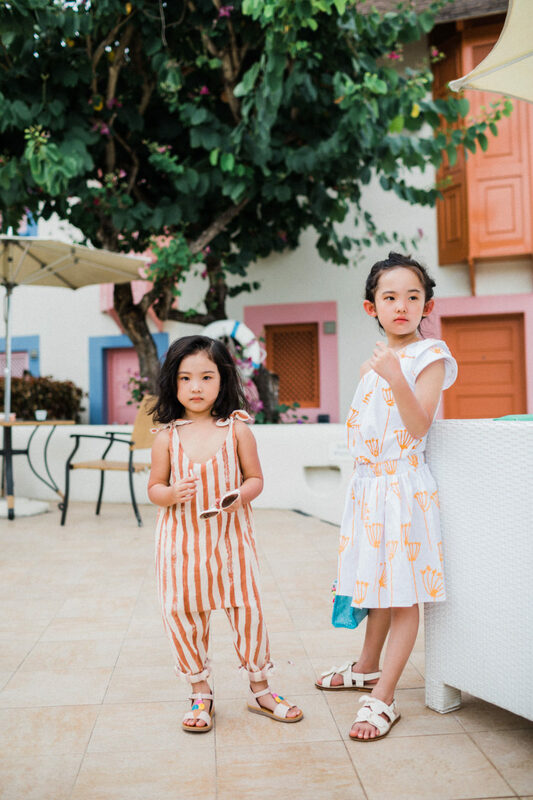 Melijoe’s selection of cute jumpsuits and sets made it hard to narrow down our choices to just a few. Ultimately, the girls went with the pieces pictured above. If you hate spending money on clothes that kids will grow out of quickly, versatility is key. I love that Hazel’s matching set can be worn as a swimsuit coverup – and that it can be taken into early fall! Fabric is also super important to me since the girls can sometimes get fussy if it’s too hot outside. 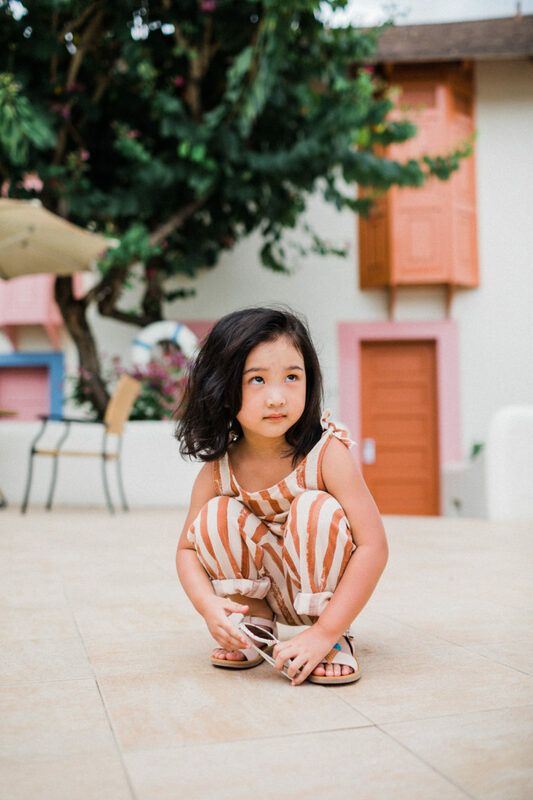 Capri’s overalls are made of voile, making them super lightweight and comfy for a little body. 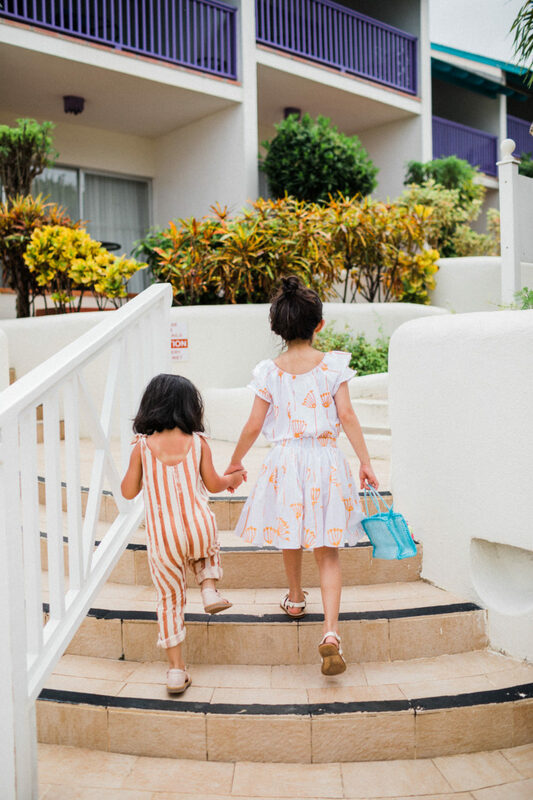 I love being a mother to two little girls because I can dress them up in endlessly cute vacation outfits. They won’t stay young forever, so this is the best time to play dress up and make your holiday pictures fun to look at. 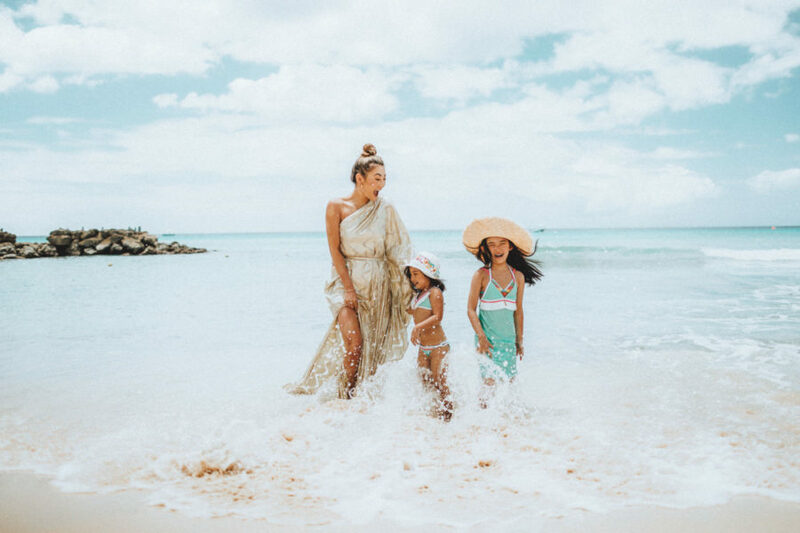 The girls have been obsessed with all my fringe accessories lately, so when I saw the fringe and tassel detailing on these bikinis by Paté de Sable, I knew it was meant to be. They instantly scream fun in the sun! I’m all about the cuteness overload, but safety is always a priority! That being said, I grabbed a few hats to ensure maximum sun protection. Not only are they practical, but they put the finishing touches these outfits! Any fun trips coming up for you guys? Let me know where you’re headed! Disclosure: This post was sponsored by Melijoe. All thoughts and opinions are my own.